Concussions are finally getting the long due attention that they deserve. The CDC estimates “1.6 to 3.8 million concussion occur in sports and recreational activities annually(1)”. The symptoms of many concussion may resolve spontaneously and never get reported so the incidence may be higher. These patients frequently complained of headaches, light sensitivity and balance problems. The writer has seen these symptoms linger for years without appropriate diagnosis resulting in poor academic performance and emotional frustration for the patient and family alike. The first obstacle is finding an optometrist or ophthalmologist to perform a binocular assessment and diagnose the problem efficiently. 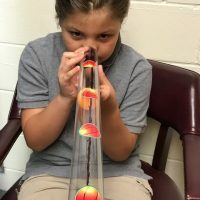 Optometrists trained by the Neuro Optometric Rehab Association would be first choice as these doctors have training in the assessment and treatment of these disorders. Second choice would be a COVD doctor, who is also going to have experience assessing eye movements and finding the problems common in concussion. These doctors may also offer treatment to help resolve the symptoms. 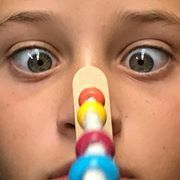 The techniques to treat these near vision focusing problems do not differ greatly from the techniques used to treat other eye movement problems, though the writer has found that the interventions may take longer and complaints may vary. The treatment of concussion is evolving. An interdisciplinary team approach is developing which is including physical therapy, occupational therapy, neurology, neuropsychology and developmental optometry all working to together to efficiently identify and treat the lingering symptoms of concussion. Concussions are a not simple “bump on the head”. They can have serious consequences. The best way insure proper treatment for a concussion is for athletes to report their symptoms to coaches and parents, learn proper techniques for their activity and always wear appropriate protective gear. Nothing can appear so disruptive as eyes that are constantly moving. As therapist’s, we become very concerned as we attempt to imagine how a child with nystagmus sees the universe and the functional affects of these constantly moving eyes. Nystagmus is an involuntary movement of the eyes. While most are in a horizontal plane, the nystagmus may be vertical, or even rotary. The nystagmus may be defined in a few ways. First, is time of the time of onset. A congenital nystagmus is present at birth or develops in the first six months after birth. Another way the nystagmus may be further defined is by the type of movement observed. Children with congenital nystagmus do not see the world moving constantly. The brain develops with this occurring and adapts though the child may need glasses to get their best vision. Further, there is evidence that congenital nystagmus has little effect on reading performance(4), while another study suggest “crowding” could be a problem decreasing reading performance(5). The initial adaption to an acquired nystagmus is location of the “null point”. The null point is a head position in which the nystagmus is reduced or eliminated. This may be perceived in child as a torticollis making an eye exam critical in children with torticollis. In some cases, surgical intervention may be used to realign the eyes to “move” the null point to allow for a better head position. There is no effective therapeutic treatment a PT or OT can do to reduce a nystagmus. The child should be in best corrected visual acuity to use his vision most effectively. Know that the child with congenital nystagmus does not perceive the world as bouncing around. It becomes the job of therapist to make sure those usual developmental skills are learned or adaptations made for low vision as needed. What does it mean when a patient is legally blind? Technically, to be legally blind, ones visual acuity in best correction is less than 20/200. Here is a great simulator to help one imagine what that would look like. But functionally, how does being “legally blind” affect the patient? A patient can be legally blind for several reasons. Diseases such as cataracts, macular degeneration, and diabetic retinopathy all leave a patient with reduced visual acuity but leave the patient with very different residual vision and different functional problems as a result of the specific condition. A patient with macular degeneration will have reduced vision in the central field affecting reading and the ability to see faces like the below picture. Glaucoma will result in reduced peripheral vision that could affect balance and peripheral awareness. 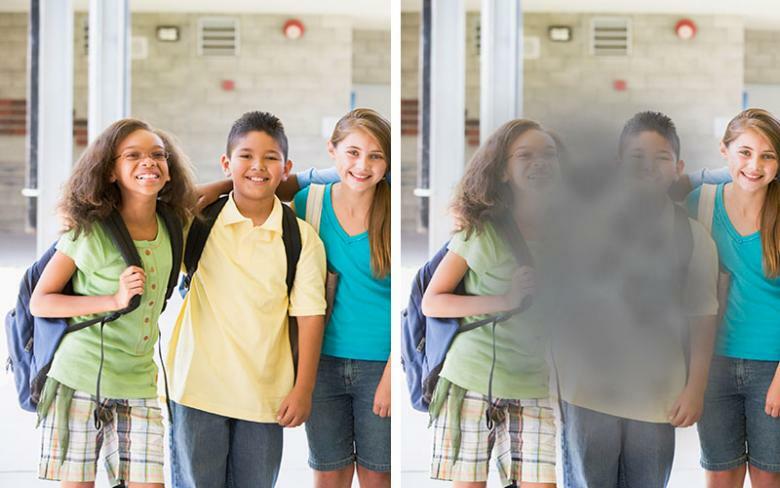 With retinopathy, the areas of reduced vision may be more random and will have different affects depending on just where these damaged areas are. Is the patients vision truly 20/200 or is it worse. Visual acuities can be 20/400 or even 20/1000. A patient may have an acuity described as “nlp” or no light perception. In this case, the patient would see nothing but blackness. A patient that was 20/400 and now is improved to 20/200, will find their vision to be much improved and very happy about that. Is the described acuity with glasses in place? 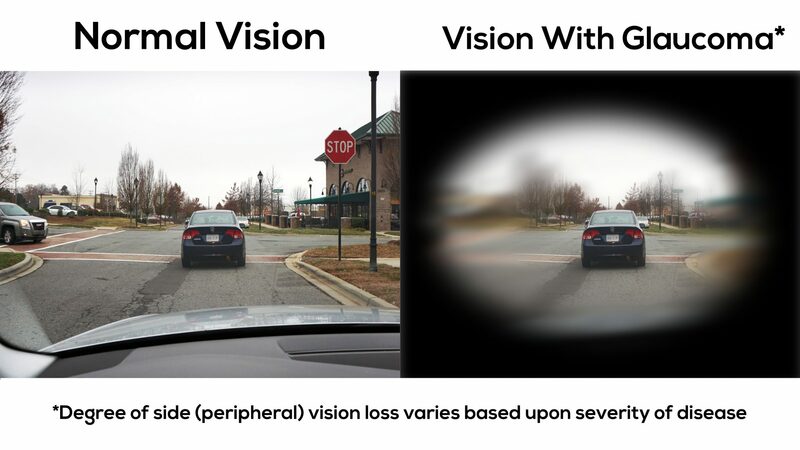 A specialized low vision refraction from a low vision optometrist could get the patient improved visual acuity optimizing their residual vision. Why does this patient have low vision? How bad is their acuity? Are they wearing the best possible glasses for their diagnosis? With this information, we will be better able to assess the functional implications of this patients reduced vision and come up with the most effective strategies to keep them independent and safe. Accommodation is one of the mechanisms that allows us to see up close. It is the focusing of the lenses in each eye. This action, combined with the convergence, allows for us to see clearly up close. When accommodation does not work, one may see blurry up close, get headaches or rub the eyes due to eye strain. The ciliary muscles attempting to make the image clear, causes this discomfort. Accommodation can be exercised to strengthen it, to improve near vision. This is generally performed in conjunction with convergence exercises to improve near vision when one treats convergence insufficiency. A simple way to improve accommodation is using a Hart chart. With this activity, a grid of letters is placed at distance and another, small version, is held by the patient, near. The patient then reads a line close (or letter) then a line at distance. This is done with one eye occluded so the accommodative action is exercised as the eye focuses near then far. In my clinic, this is performed while standing on a balance board to further challenge the patient. This simple activity is quite effective at strengthening accommodation. A Hart chart can be purchased from Bernell, or found on the internet. Heres a video. The Hart chart is one way accommodation can be strengthened. In optometric vision therapy, lenses can be used to strengthen accommodation using an activity called Accommodative Rock. A complete binocular vision assessment should be conducted before performing these tasks to make sure that they are appropriate. Only an ophthalmologist or optometrist can accurately diagnose an accommodative problem.